I have to give all credit to this recipe to my aunt Tanya. She is a kitchen god. One of those women who just turn every piece of food they touch to perfection. Everything she makes comes out good, I honestly don’t think I’ve ever tasted anything bad shes made. 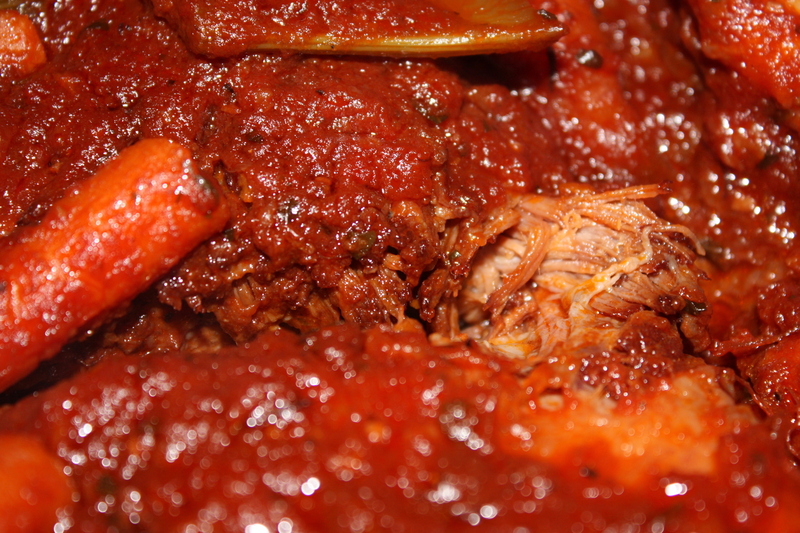 During the jewish holidays and thanksgiving, she makes this brisket. I crave this, and its become a tradition to have, at least in my opinion. 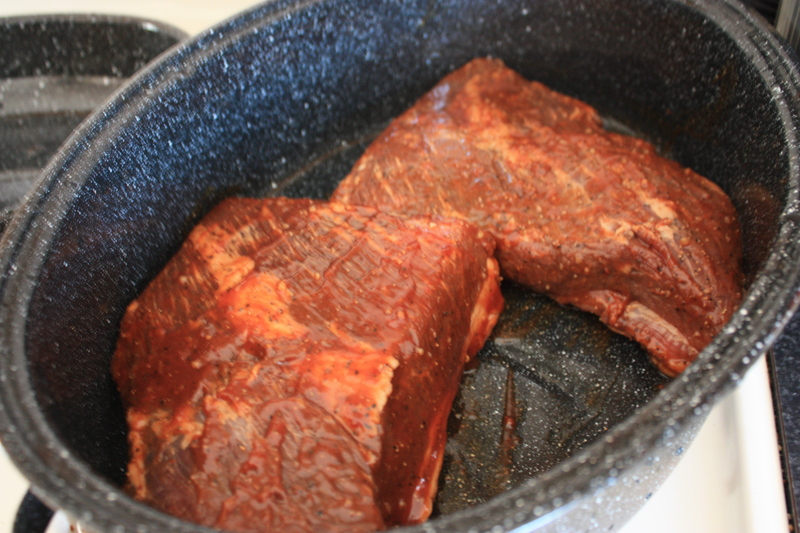 A day before, liberally rub the brisket with montreal steak seasoning. Place the brisket in a ziplock bag and add the brisket sauce, shake, and let sit in the fridge overnight. 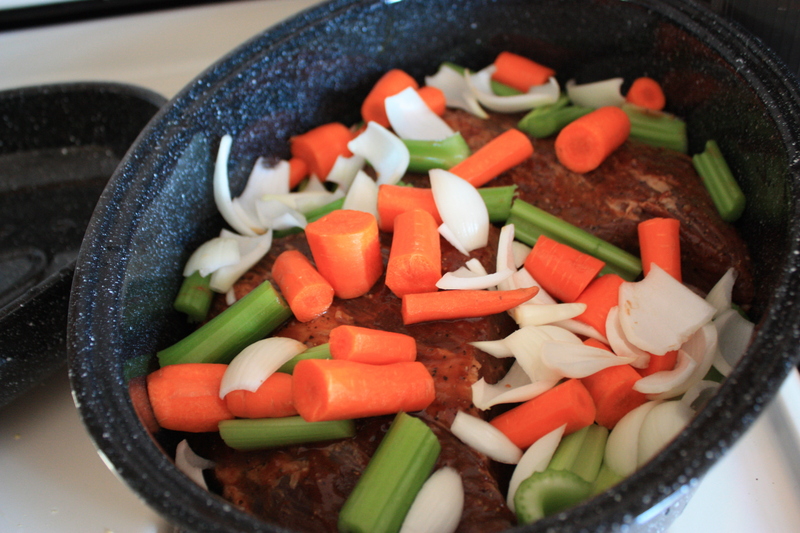 The following day, remove the brisket, discard the marinade, and place into a dutch oven. 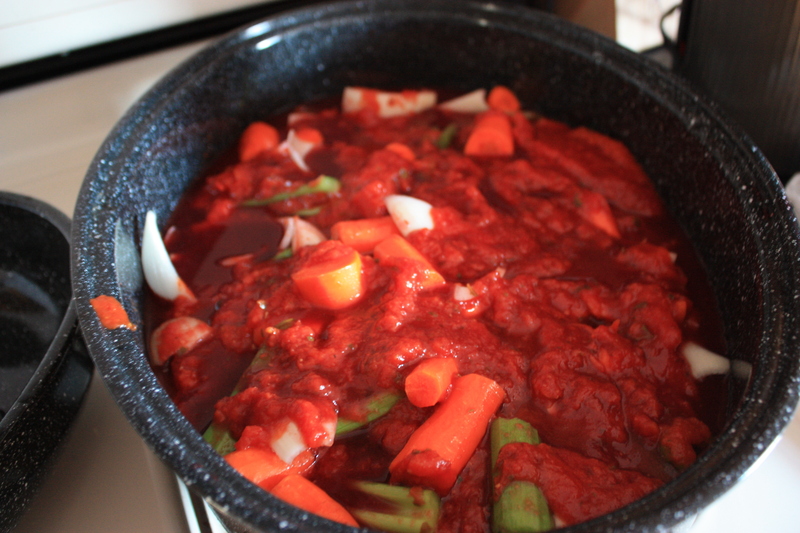 Chop up the carrots, celery, and onion and throw in there as well. 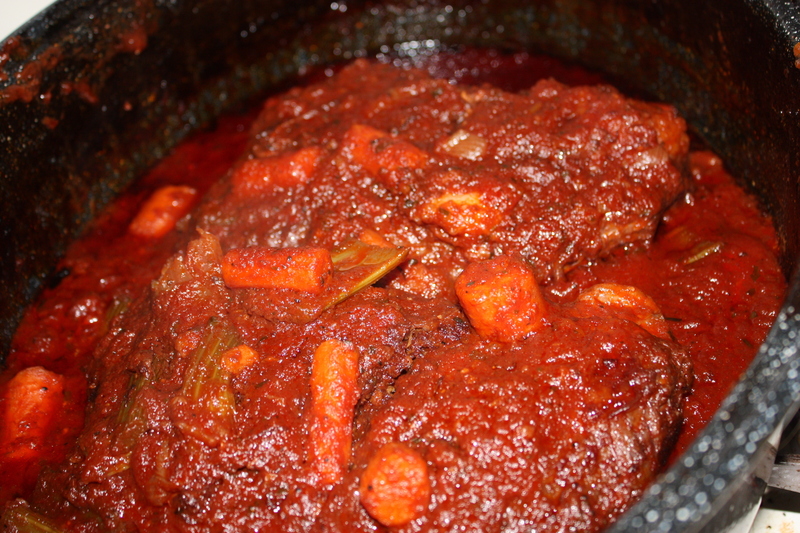 Add the marinara sauce, and red wine. 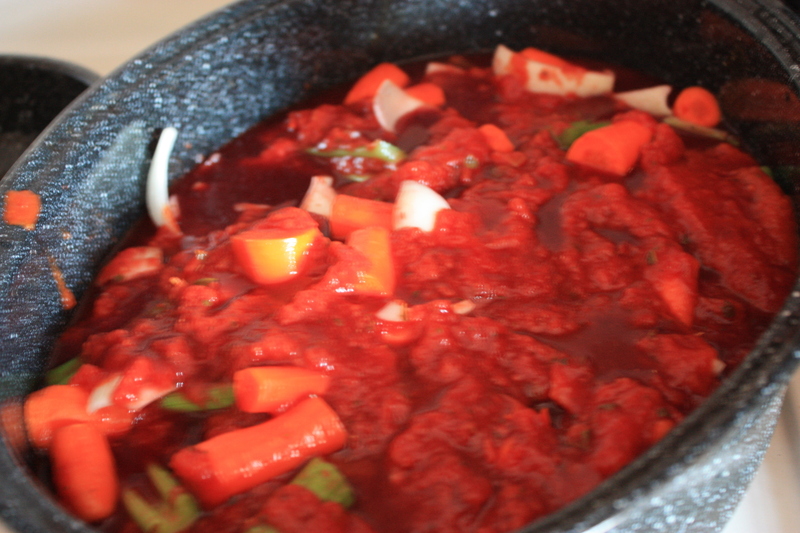 Don’t use the full bottle of red wine, just use it to help cover the meat nicely with liquid to soften up. 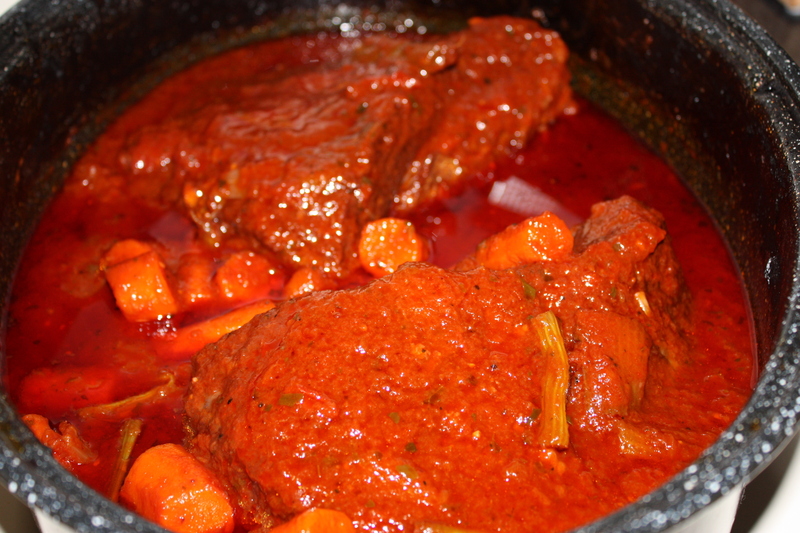 Let it cook covered for 5-6 hours at 350 degrees, turning and covering with sauce every 1/2-1 hr. This is like the best sauce you’ll ever have. Its so good. TRY IT! you’ll find a new favorite in your life. 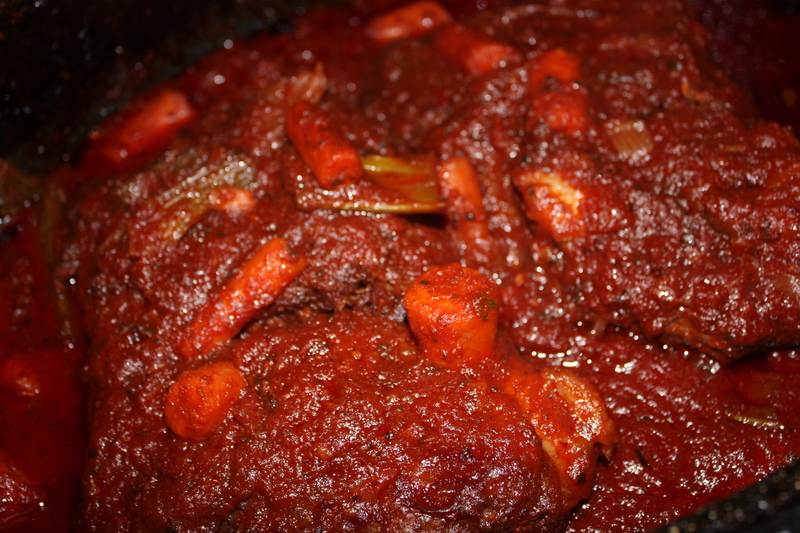 It also tastes better the day after since the sauce really soaks in!